For readers who look for inspirational passion and in depth plots, Colette Harrell is the weaver of authentic stories that make the heart cry and laugh with the warm of her rich characters. She pens fiction with a moral compass because part of living happily ever after is being better than before. Colette R. Harrell made her debut as an author with the book, The Devil Made Me Do It. As an author, she has enjoyed meeting new people, in new places. She holds a master’s degree and works as a director of social services, which allows her a front-row seat to the conflict and struggles of everyday people. Her goal in writing is to engage her readers in an entertaining way and provide them with nuggets of wisdom that feed and titillate. Her one lesson learned during this season is . . . It takes a village to raise a dream. Her newest title, Tell The Truth, The Devil Won’t hits the stands in 2015. She promises it will not disappoint. Wife, mother, playwright, and author. In her mind’s eye, the future couldn’t look any brighter. Here’s what readers have to say about Colette’s work! Read more on Amazon. This author not only provided the reader with an amazing backdrop of stories woven with faith and love, but in her own unique way, the reader was given a glimpse into the life of Satan and his kingdom. I think Alter Ego’s are a compilation of things we wish we could do or say as us. They are our ‘slipping to the bad side’ sometimes they are better selves. Mother Sweat is sassy and says what she wants to sometimes without a filter. Mother Sweat is comical but always sincere in her want for people to live or think better. 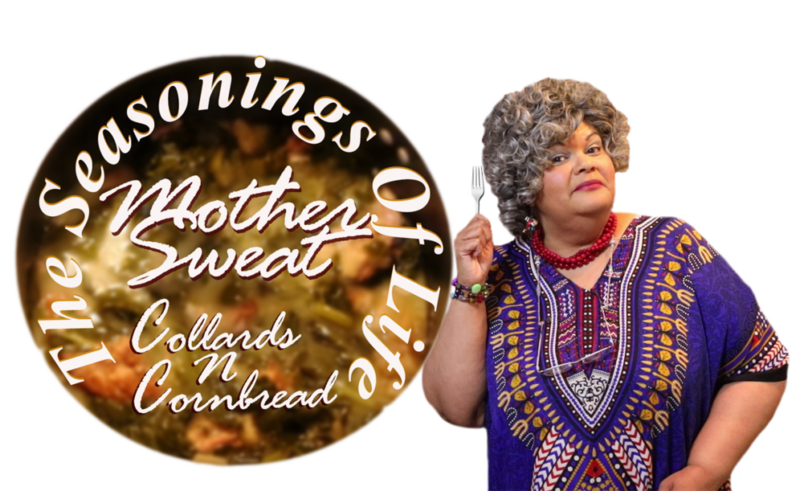 Mother Sweat is old enough to remember when and appreciate the now. Mother Sweat holds the keys of wisdom in her hands and doesn’t mind sometimes placing a Joker in the deck. To learn about upcoming events, interviews, or guest podcasts, visit the event page to learn where Colette will be next!